Many years ago (sometime around 2001) I was working at Dymocks Booksellers in Napier during Art Deco Weekend when I met a very interesting customer. He worked for Weta Workshops in the design side of things and was visiting Napier for the event. 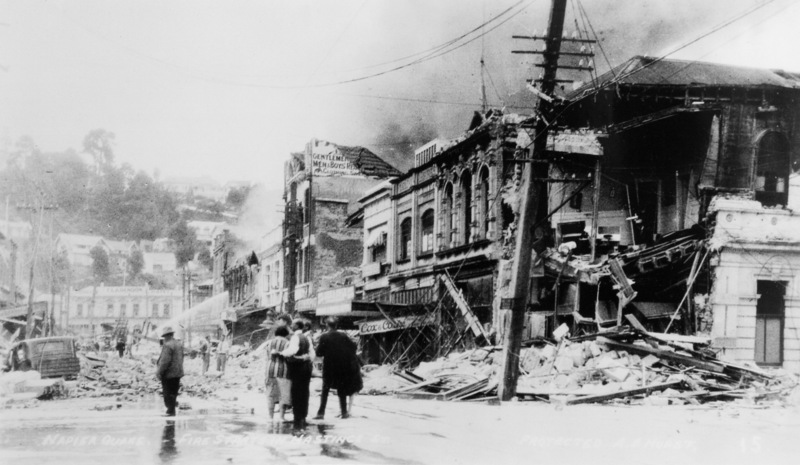 We got talking about the 1931 Napier Earthquake, as the excellent book “Quake” by Matthew Wright had just been released. In particular we discussed the physics behind the earthquake. AWESOME Fact: The force produced when the fault let go causing the 1931 Hawke’s Bay earthquake was equivalent to setting off 40,000 Hiroshima “Little Boy” sized nuclear bombs 20km below Waipatiki Beach, just north of Napier, with the exception that Waipatiki Beach now doesn’t glow in the dark! Purely pipe-dreaming, with his design background and my local history and earthquake knowledge we discussed the concept of some sort of audio-visual / CGI / 4D interactive presentation / movie / show where people could get a reasonable accurate representation of, or experience of what it would have been like to be in Napier on that day in 1931 (without the risk of being hit by falling masonry etc.). I recalled this meeting and our concepts recently with the permanent closure of Marineland, temporary closure of Napier’s museum (and excellent earthquake exhibit) for redevelopment and Napier City Council’s far-too-overdue “Big Picture” plan to turn Marine Parade into a “Kids’ Capital”. With the wondrous advances in technology that Weta have harnessed, I wonder if there is some way of creating a worthy memorial, or “earthquake attraction” combining local knowledge and Weta’s digital and workshop wizardry, for future Napier residents and visitors to commemorate the event that shaped modern Napier. To the best of my knowledge there has never been a scale model of Napier pre or immediately post-earthquake / rebuild. There is a marvellous set of three photos (pre-quake, immediately post-quake, and the city rebuilt) taken from the same place on Napier Hill that has always mesmerised me and there are lots of photos of varying vintage depicting different parts of Napier pre-earthquake, but I would love to be able to look at a hard copy of how the city looked before February 1 1931 – the buildings, architecture, trams, streets and environment. On a similar thought-path, it would be great to be able to take a virtual walk / tour through Napier’s pre February 3 1931 streets. As a movie or a/v display the buildings could morph from present to past and back again. While we’re at this stage and with so many pictures of the damage from so many angles, would it be possible to recreate, visually at least, the event? Like I’ve said previously – to be there without threat to personal safety. Many years ago there was an “earthquake simulator” (merely pneumatic rams thrusting the theatre seats forwards and backwards) and an audio visual display on the 1931 earthquake at a museum called “The Stables” in Napier, but that is long since gone. With eyewitness accounts, seismic recordings and research, combined with modern special effects and engineering*, could we recreate the event physically? Not just side to side, but up and down etc. One of the things that stand out from survivors’ stories was the sudden upward jolt during the quake that eventuated in so much of Napier’s surrounding swampland at the time rising to inhabitable and usable levels. A “visual thrill-ride” like those at Te Papa was another idea. Starting off either as the view a satellite would have had (give or take 30 years) zooming in on Napier’s main street on the morning of 3 February 1931 with life going on as normal, then rocketing through the sky to Waipatiki Beach and down through the earth to the fault to see it move and give (kind of like a geological CSI) before up and on a return flight path, just ahead of the seismic shockwave, into town again to see the city and the effects of the quake as in point 3. There has never been a Napier earthquake movie! I wonder if the people at Weta happen to know anyone influential in that field…. Without Marineland and all its old attractions, Napier has become a bit sad and quiet and I fear the Art Deco theme and associated festival (which has been going for over 21 years now) must start to wear out sometime soon. 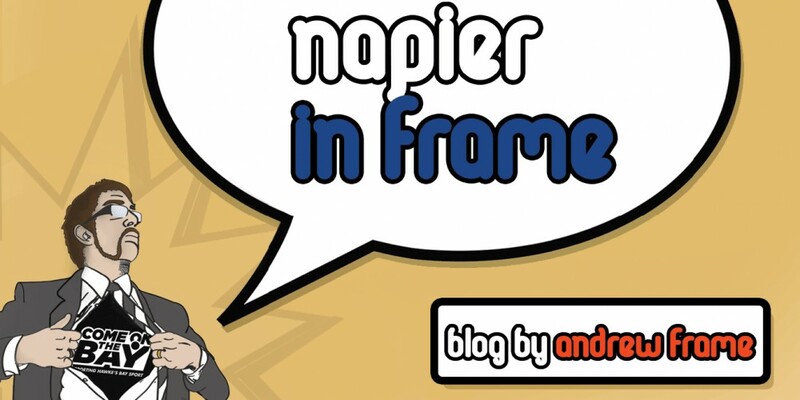 Not only would my plan be an attraction to tourists, but also a touchstone and reference point to locals as well as an interactive memorial to the most significant event of Napier’s past. Like I said, for the moment, these are purely my ideas mixed with a bit of pipe dreaming. I don’t know how feasible they are or, ultimately, what developing them into reality would likely cost. But as an attraction or historical viewpoint, I think they’re pretty cool.